Dunnottar Castle is a ruined medieval fortress located upon a rocky headland on the north-east coast of Scotland, about 2 miles south of Stonehaven. The current ruins date from the 15th and 16th centuries, but there is believed to have been fortification on the site since the Early Middle Ages. 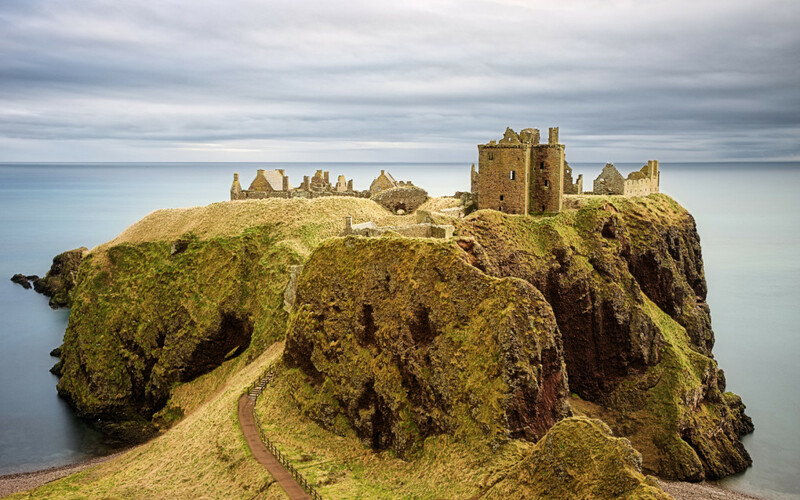 The ruins of the castle are surrounded by steep cliffs that drop to the North Sea, 50 metres (160 ft) below. A narrow strip of land joins the headland to the mainland, with a steep path leading up to the gatehouse. I made these photos over the course of a couple of hours after the eclipse in March, partly because I know the place well, partly because I was reminded of it by a photo in the local photo-club, and partly because I wanted to reshoot it at greater quality with newer processing techniques. 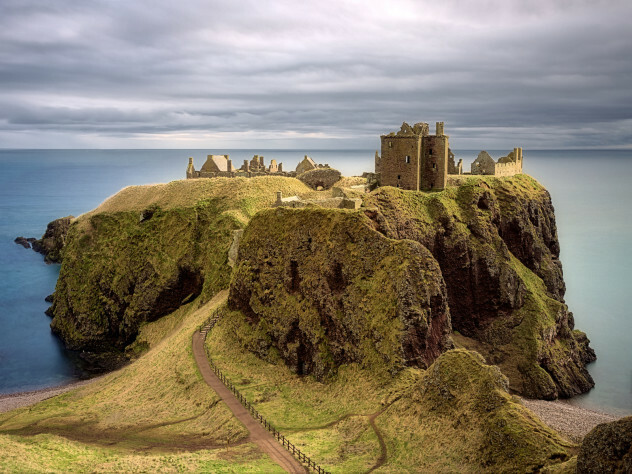 It’s a pity the path down to the shore is so muddy – perhaps I should revisit either in winter or early spring instead. 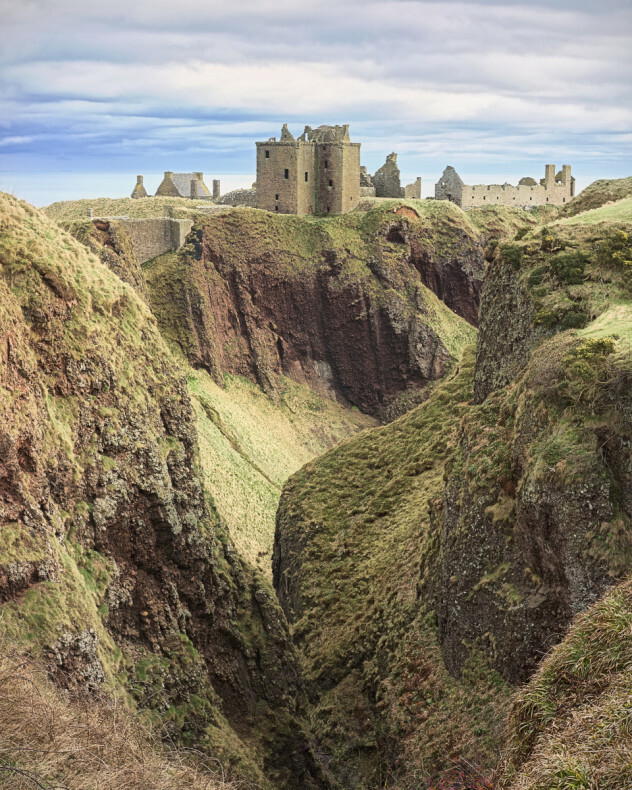 A classic view from a small bridge along part of the gorge to the south of Dunnottar Castle. This entry was posted in intimate-landscape, Landscape, landscape, photos, Scotland and tagged black and white, clouds, coast, colour, drama, Dunnottar Castle, film emulation, GIMP, light, long exposure, LuminanceHDR, ruin, sea, sky, Stonehaven, time, vintage, Water.